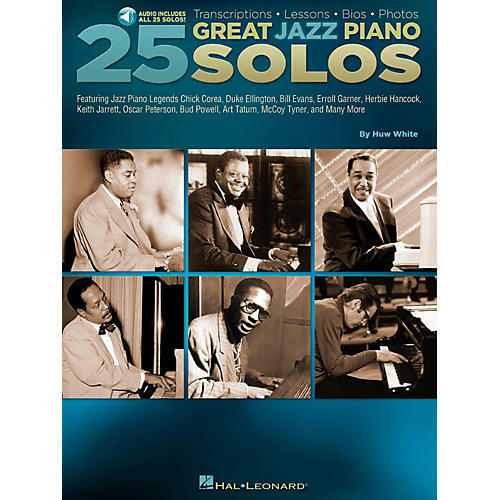 From Duke Ellington to Chick Corea Bill Evans Oscar Peterson and many others take a look at the genesis of jazz piano. This book with audio provides solo transcriptions in standard notation lessons on how to play them biographies instrument information photos history and more. The accompanying audio contains full-band demo tracks and accompaniment-only tracks for every piano solo in the book. Songs include: All of You * Caravan * Freddie Freeloader * Have You Met Miss Jones? * I Fall in Love Too Easily * If I Were a Bell * In Walked Bud * Night and Day * Slings and Arrows * West Coast Blues * and more.